A large increase in the supply of apartments, particularly in Sydney, will put further downward pressure on prices, the Reserve Bank of Australia has said. In its bi-annual financial stability review, the RBA has taken a closer look at the nation’s housing price falls, describing property market conditions as “remaining weak”. Nationally, housing prices are 7 per cent below their late 2017 peak, although they are still almost 30 per cent higher since the start of 2013. Housing prices have fallen further since the Reserve Bank’s previous review, following years of strong price growth led by Sydney and Melbourne. “The ongoing large increase in the supply of apartments, particularly in Sydney, will put further downward pressure on prices,” the central bank said. 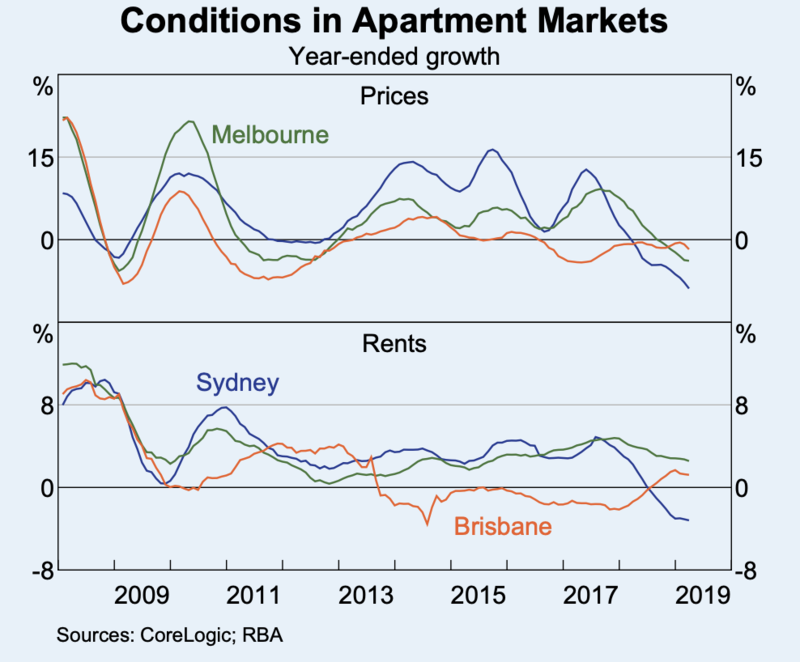 “Risks appear highest in the Sydney market, where a considerable volume of new supply is due to be completed over the next couple of years, and the recent decline in apartment prices partly reflects demand-side factors,” the RBA said. Although to date, it notes, “households and developers appear to be coping well with weaker apartment market conditions”. “It is unusual, in Australia and internationally, for property prices to be falling while interest rates and unemployment are low,” the Reserve Bank noted. While the prevalence of negative housing equity (where the outstanding balance on the loan is higher than the value of the property it's secured against) is still low, the RBA says further property price falls could see a large share of housing equity turn negative, potentially increasing the risk of defaults if unemployment were to rise. Queensland, Western Australia and the Northern Territory together account for the majority of all mortgage debt in negative equity, RBA. 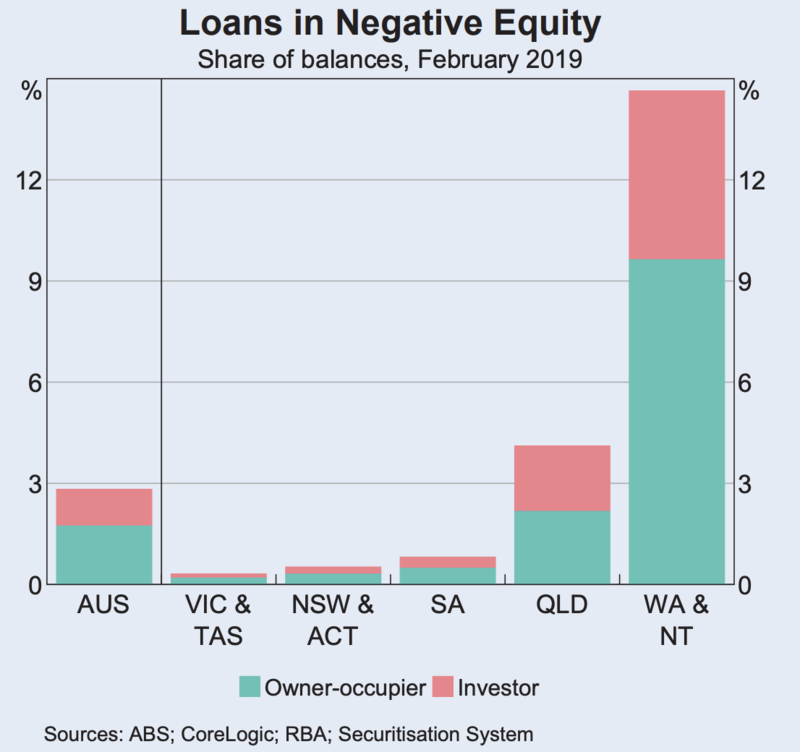 The highest rates of negative equity are in Western Australia, the Northern Territory and Queensland, representing almost 60 per cent of loans in negative equity, with large price falls in areas with high exposure to mining activity. While rates of negative equity in other states remain “very low”. 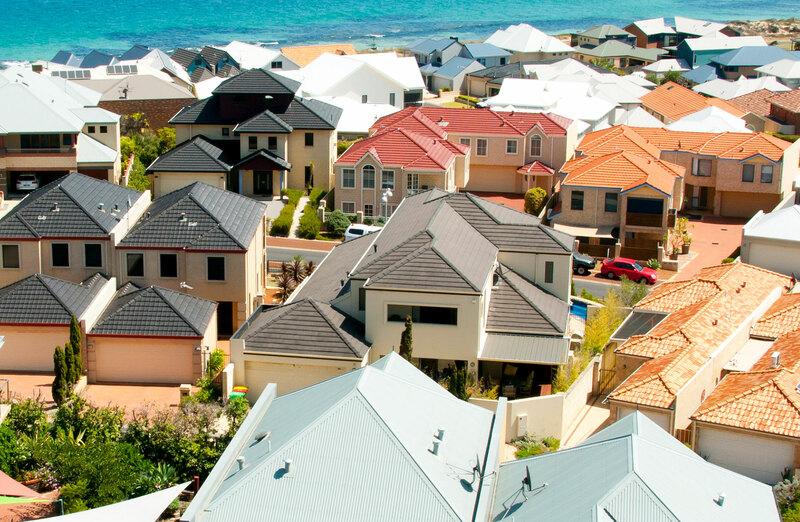 Housing loan arrears rates in Western Australia have been increasing but are currently still less than 2 per cent. “Further price falls could also increase lenders’ perceptions of the riskiness of housing lending, compounding the somewhat tighter availability of credit seen to date,” the Reserve Bank said. Although it reiterated earlier warnings that reduced credit supply would be “detrimental to the economy and financial stability”. While the unemployment rate has remained around 5 per cent since the Reserve Bank’s previous review, Australia’s GDP growth slowed in the second half of 2018. “Growth in housing credit was slightly lower over the six months to February than the preceding half year, with investor credit hardly growing at all,” RBA said. The Reserve Bank also noted the “resilience” of the financial system. Bank stress tests indicate they have enough capital to withstand double-digit unemployment rates and housing price falls exceeding 30 per cent. “Banks now have much higher levels of capital, more liquid assets, and more stable funding structures,” RBA said.